Figureworks Australia offers bookkeeping services, accounting software set-up, training & support, business health checks, payroll and much more. We are BAS & ASIC agents as well as Quickbooks, MYOB and Xero Professional Partners. We have flexible onsite, offsite and remote solutions to suit your business. We focus purely on our clients and providing an impeccable service to them. We work on the best solution for our clients, continually monitoring and adjusting as their business evolves. We have no alliance to any one accounting package, we use them all and will recommend the best one for you depending on your particular circumstances. We service all areas of Melbourne including (but not limited to) Rowville, Ferntree Gully, Knoxfield, Boronia, Ringwood, Burwood, Bayswater, Blackburn, Croydon, Clayton, Narre Warren, Berwick, Dandenong and Cheltenham. 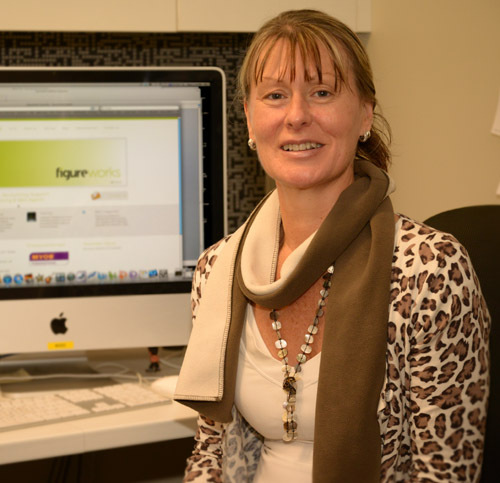 Figureworks Australia started as a part time venture in 1993 for Ruth Fenby, who has spent her life helping small businesses navigate their way through their bookkeeping obligations and training them to use accounting packages to help them grow their business. Ruth is passionate about learning and invests much of her time in her ongoing financial education believing this is part of the key to being a success in business. Ruth began her career straight out of high school deferring from university to build the bank balance and get some life experience. Her first job was at a powder coating factory where she learnt how to run a small one person office gradually increasing her on the job skills in conjunction with attending night school to complete an Accounting & Business studies diploma. Reception, Filing, typing, invoicing, debtors, creditors, wages, tax and group certificates, a manual cash book & bank reconciliations with all ledgers including the general ledger along with employing new factory staff and generating new clientele all became part of the job. A great five year apprenticeship in partnerships – thanks to partners John and Joe who were like two extra Dads. Moving on to a position as a personal assistant and office manager to a construction company when the building industry was booming saw Ruth build on her bookkeeping skills to include all the complexities of the building industry along with Incolink Redundancy payments, Building Unions Superannuation, Construction Industry Long Service Leave, client, architect and sub contractor liaison, organising & compiling building tenders, sub contractor account reconciliations, retentions and back charges. Employing & managing new staff, project job costing, organisation of all insurances, vehicle leasing, fit-outs and equipment. Control of all the directors many personal interests including Presidency of the Rotary Club, Lodge, competition golf and race horse ownerships. During this time Ruth began being asked if she could do ‘the books’ in her spare time for some of the small contractors and business associates, this is how Figureworks Australia began. Thanks to Graeme who is still a great friend today. Now with two small children and only wanting to work out of the home within school hours Ruth began contracting to a small but growing Heating and Cooling family business that was close to home and allowed her time to work on her own expanding client base. Hallidays Heating & Cooling Pty Ltd grew quickly with Ruth now learning the Sybiz Accounting Software package and inventory and stock control, budgeting and costing along with scheduling for the fast growing sales team. Yvonne Codey Hallidays director is a great mentor and testament to the power of women in business and the queen of organised lists, schedules and plans. 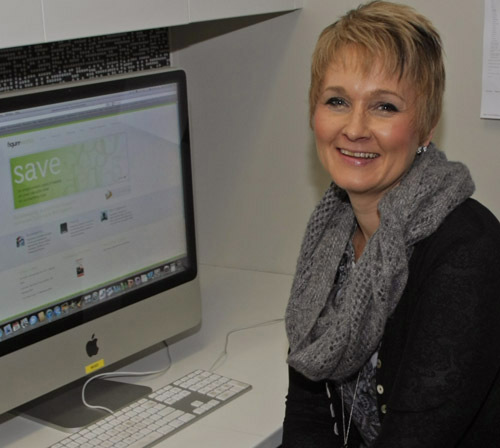 Following the dream of furthering her accounting career Ruth began contracting to an Accounting firm learning to complete tax returns and financial reports for individuals, sole traders, partnerships, companies, trusts and superannuation funds. Seeing first hand from the accountant’s side the state of the MYOB and QuickBooks data files that were being sent in highlighted that most clients needed help to understand how to properly enter, check and reconcile their accounting software. The accounting fees that had to be charged for all the extra time spent on just getting the data to an understandable state were enormous and Ruth began teaching clients the correct way to do their bookkeeping. Figureworks Australia’s bookkeeping clients have continued to grow with a focus on education and getting to know exactly what the client wants and needs then working together to achieve this is the easiest most cost effective manner. Kelly has had a varied career, including working as a Traffic Coordinator – taking care of payroll, OH&S and fleet management. She has also worked as a merchandiser. 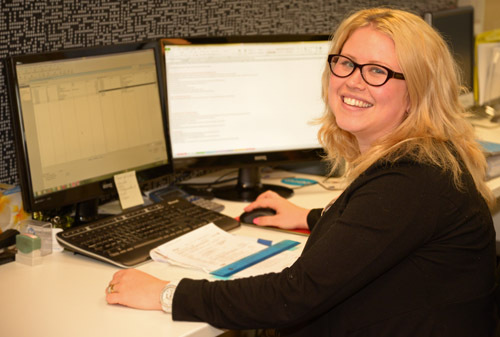 Kelly began in bookkeeping whilst working for her parents’ business. Ruth was called upon to provide additional support. As part of this process, Ruth trained Kelly to become an excellent bookkeeper and she has since worked at Figureworks Australia for the past 5 years. Kelly worked full time as the accounts manager and took leave to have a daughter. She now works part time as the Procedural Manager and provides in-depth support to key clients. Kelly loves the variety of her job, meeting new people and assimilating to different workplaces. She enjoys the flexibility and the thrill of accounts balancing. She makes life easier for her clients by communicating with them so they are clear upon what information they need to complete their books, keeping them up to date and aware of upcoming deadlines and guiding them to increase the efficiently and effectiveness of their business. On the weekends, Kelly enjoys camping and 4WD’ing, cooking, quality food & wine and most of all, being a mum. As well as completing bookkeeping, Liza helps to manage the staff in the office and helps Ruth with her workload. Before starting at Figureworks, Liza worked for an insurance company for 14 years – doing all things figure related such as calculating premiums and life insurance policies. She had children and began part-time work. She worked in medical administration for 16 years, which included tasks such as accounts and payroll. About 3 years ago, the company she was with went into liquidation and she began to work for Ruth at Figureworks Australia. Liza likes the satisfaction of helping a client and the challenge of having numerous clients with different needs. She is very good at proactively reminding clients of tax debts, liabilities and bills to pay. For some clients, Liza provides the complete service of paying their bills so they don’t need to worry about their paperwork. Her hobbies and interests include travelling, shopping, cooking, interior design and gardening (most of the time). Liza has also enjoyed the thrill of Quad Biking in Thailand.